When you get up in the morning and timidly step onto the bathroom scale, what does it tell you? A slight increase in weight may hammer home that having that last slice of pizza yesterday wasn’t a good idea after all, but what does that lone number really mean? Truth be told, weight on its own is a vague indicator of health & fitness. If you really want to get smarter in determining your body’s current state and doing something about it your scale needs to smarten up too! Smart scales measure useful metrics like your BMI, muscle and bone mass, or your body fat percentage. More importantly, they transmit that information to companion apps that keep track of and present it in an understandable way. Some smart scales will even guide you along the way to a perfect physique with useful information you can apply to everyday habits. 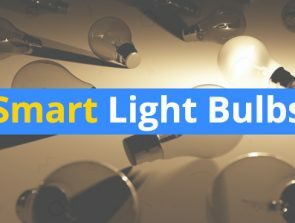 There have been quite a few smart scale releases in the past couple of years. Creators of successful fitness trackers as well as giants of the tech world all have their contenders. Which scales will help you attain your goals best? Read on and see for yourself! Accurate & consistent measurements. Goal setting works great. Has a pregnancy mode and supports many 3rd-party fitness trackers. Safe for pregnant women and people with implants. Well-designed app. QardioBase impressed us back when the first smart scale was released as its stylish round shape and myriad tracking options were a rare sight at the time. The competition has grown stiffer since, but QardioBase’s successor beats pretty much all of them! It’s more stable, more versatile, and easier to use, making regular weigh-ins easy & fun. Plus, if you’re easily discouraged by numbers it can replace cold hard facts with comforting emoticons. QardioBase 2 is hands-down the most futuristic-looking model in the guide. Reminiscent of a large aspirin pill, this model comes with the same LED display as the first, but it is larger and much more stable. The green LEDs show the current user and their weight, BMI, etc. They also turn into smiley faces depending on a user’s goal progress. Unlike its competitors, this model is powered by a rechargeable battery the manufacturer claims can last for a whole year. While QardioBase 2 itself is minimalistic, its companion app provides a wealth of information & customization options. Setup & pairing is straightforward, and once you’re done you can invite 4 other users to create profiles and start tracking various body composition stats. There are four modes to choose from. Normal provides all supported statistics. People with pacemakers and heart conditions can use Weight Only mode to track just their weight without being subjected to impedance measurements while Smart Feedback lets you set weight goals and informs you of the progress in emoticon form. Finally, Pregnancy is designed for expecting mothers and helps reassure them that their weight gain and subsequent weight loss are on track. The app is beautifully designed. Tap your latest weight reading to receive more in-depth body composition info, view weighing history complete with graphs, or set alarms & weight goals for yourself all from a single screen. Support for multiple users works great if their stats are different, but can cause problems if they’re similar. You have to tap on the QardioBase2 to select which user the weighing applies to, and there’s a chance you’ll accidentally send your results to a different user’s account. There’s also an infrequent error where it will mistake you for a guest and force you to get off to repeat the weighing. 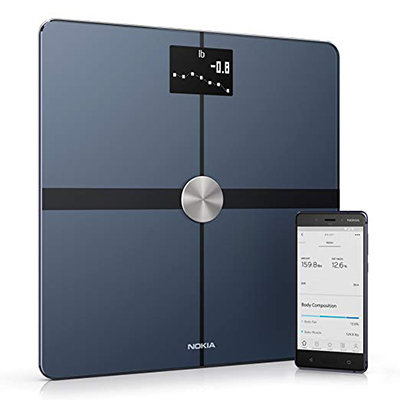 The Nokia Body series of smart scales is actually a rebrand of earlier successful models made by Wittings. The Body+ is the mid-range model that caters to everyone but the most serious fitness professionals. Its highlights include comprehensive statistics on your body’s health & mass placed in an easy-to-understand context, a companion app, and the ability to share the information the scale has gathered with loved ones or a healthcare professional. The best thing about the Body+ is how user-friendly it is! Step onto the glass surface of this attractive device and a dormant LCD screen will spark to life, providing you with information on your weight expressed in either pounds, kilograms, or stones. That’s just the most basic readout as the Body+ also covers your body mass index, bone & muscle mass, and fat percentage. These statistics are presented through slider bars which show how your statistics compare to that of a healthy individual of your age & height. It’s easy & intuitive to see exactly where you stand and plan adjustments to your diet or exercise routines accordingly. The Body+ supports multiple users. Even if two of them have very similar stats, user profiles eliminate the confusion. The new Nokia Health Mate app tracks all of the stats the Body+ can record chronologically. It pairs with a wide variety of fitness trackers, heart monitors, and Apple Health to give you an even more comprehensive overview that includes your heartrate and sleep patterns. The app also contains a few wellness programs that can help you sleep better or eat healthier if followed. Pregnant women and new mothers can also track their baby’s development through a special program that can tell the baby’s weight apart from the mother’s. Previous versions of the Wittings smart scale had a built-in heart monitor. If this feature is important to you, you’ll either have to get a separate fitness tracker or splurge on the Nokia Body Cardio. In Health Mate you can set up alarms that remind you of daily weigh-ins, tell you to go to sleep or eat at a certain time etc. Some of them are straightforward. Alerts you set up to help you decrease weight aren’t as straightforward though. Fitbit smart fitness trackers are some of the best you can buy today. No wonder since they allow you to get a detailed overview of daily activities with more in-depth stats than the competition. What a Fitbit tracker can’t do is measure your weight, hence the need for a smart scale that can effortlessly become part of the Fitbit ecosystem. The first Aria accomplished this, and its 2nd iteration is an upgrade in almost every way. As elegant as its predecessor, Aria 2 comes in black or white and has the same telltale round LCD display. Traction has been improved so you can place it on bathroom tiles without the fear of slipping. The Aria 2 is powered by four AA batteries which should last for around six months. It gives you a warning when the batteries are low so you can replace them in time. The scales take the same measurements as the original Aria with the addition of lean mass. Eight different users can create their profiles and have customized icons greet them with each weighing. As the wireless transfer of each user’s data is encrypted, only they get access to it via the Fitbit app. Setting Aria 2 up is as easy as adding it to your existing Fitbit account. Once you do, its statistics become part of the Fitbit dashboard and can provide insight on whether your exercise outlines and meal plans are actually working. The data is presented in the form of logs and point graphs in a clean way. Especially useful is the ability to place your BMI & lean mass on the same graph and track how they interact over time. Aria 2 measures your BMI by getting a reading of your body’s impedance. This involves sending a slight jolt of electricity through one of your feet which then travels across the body and gets discharged through the other. While reasonably accurate, this method isn’t suitable for expecting mothers and people with heart problems who rely on a pacemaker. While the actual weighing is quick, Aria 2 needs to sync up with the app each time to log the results. This can take a while if your Wi-Fi connection is unstable. Any smart scale you pick up will display your weight, but very few will actually help you do something about it. 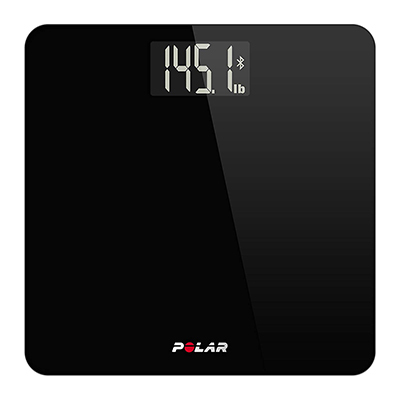 Polar Balance stands out in that it offers concrete weight loss advice through the excellent Flow app. The scale may not offer readings as comprehensive as others’, but its user experience is top notch, especially if you’re a serious athlete who needs to keep track of not only calorie intake, but factors like lactic acid concentration. 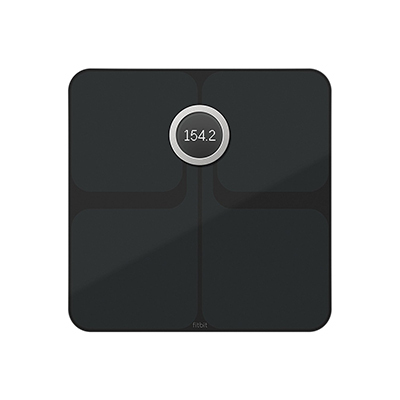 This model most closely resembles a traditional digital scale. Its monochrome black or white surface works well with any bathroom, and the light-up display is brought& clearly visible. There’s not all that much information to be gleaned from it though – just your weight and a Bluetooth sign when the scale is talking to one of Polar’s fitness trackers or watches. Syncing the data with the Flow app is a little less straightforward than usual since there’s no Wi-Fi connection. Rather, the data is first transferred onto your Polar device and can then be sent to either a web app or your phone. That’s when the Balance really starts to shine!. The flow app keeps track of your weigh-ins and estimates your BMI, so it’s safe to use for any of the 9 other people you wish to share it with you. The readouts can be complemented with weight goals. Once a goal is set up you get detailed suggestions on how to reach it. The app might prompt you to eat less chocolate one day or exercise more the next, and before you know it you’ve accomplished your goal. Although accurate, the Balance only tracks weight. You’ll want to get another model if more in-depth statistics are a must. This along with the roundabout syncing process may make the Balance appealing mostly to users who’ve already bought into the Polar fitness tracker family. Do you have a large family or live in a dorm full of fitness enthusiasts? Now all of them can track various bodily statistics, set weight goals for themselves, and have secure access to their personal data thanks to Garmin’s Index smart scale. It supports a whopping 16 users, is straightforward to use, and performs consistently. At 6.3 pounds, this is the heaviest scale we’ve tested, which is a good thing since it can handle 400 pounds of weight without moving or buckling. The Index has a large screen with individual LED lights that display a user’s weight. If they stick around for a bit, it will also show other pertinent statistics without the need to look them up on the app. Speaking of which, the Index uses Garmin Connect, an app designed to work with all of Garmin’s existing fitness trackers. 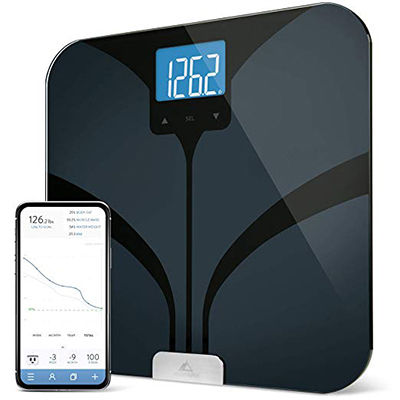 Its scale section has a functional layout consisting of bubbles that show your weight, fat percentage, and any gains or losses you’ve had since the last weigh-in. Under these statistics, there’s a graph detailing changes in said stats during the last week, month, or year. Tapping the graph opens up a more detailed screen showcasing other stats like bone mass or water percentage. Here’s where you can set the graph’s range, set up & track weight goals, and look up historical data. Garmin Connect is prone to lag. Even though its stability has been improved since the Instinct was integrated, it can still freeze up or crash from time to time. Considering its relative lack of features in comparison with the QardioBase 2, Index is a bit pricey. There’s also no way to turn impedance measurement off. Some people take their weight loss struggles both very seriously & personally. 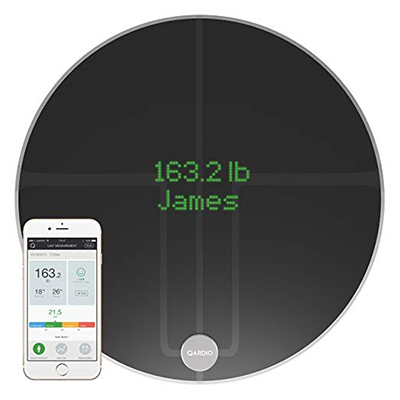 If you’d like to take control of your weight and don’t want other people to have access to your victories & setbacks, this smart scale by Weight Gurus is the perfect pick. It communicates through Bluetooth only, meaning that only an authorized phone that’s near it will receive the data. 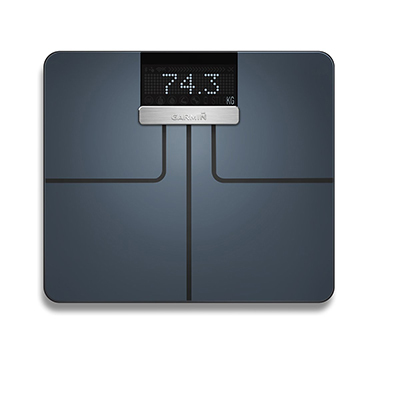 The scale tracks numerous stats accurately and is amazingly cheap to boot! This beautiful black scale is among the smaller ones we’ve seen and is easily moved around the bathroom thanks to its lightness & slim profile. Its most prominent feature is the large backlit LCD display which you can use to look up all of the stats the scale tracks like lean mass, BMI, bone mass, etc. 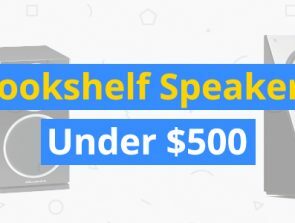 It is easy to set up and is backed by both extensive video tutorials on the manufacturer’s website and a generous 5-year warranty. Eight people in your household can use the scale individually, and it will only upload the data to the correct person’s phone when that phone is near enough. The readings themselves are very accurate and stay consistent through multiple weigh-ins. Just remember to place it on a hard surface as carpets tend to jumble the readings. The app contains your standard set of graphs and historical data. Goal setting is of particular note though. Once you set a goal, you can change the display so that each weigh-in is expressed by how much weight you’ve lost instead of the current weight. You get a color-coded bar graph that displays progress days in green and those when you didn’t lose or gained weight in red. You can track how much you’ve lost on a daily, weekly, or monthly basis, and can view your progress as a percentage. Weight Gurus’ scale can communicate with many 3rd-party products & apps like Fitbit, My Fitness Pal, Under Armour, and more. There’s no way to disable body composition stat tracking, making the scale unusable for certain groups of people. In order to sync data from the scale to the app, you need to turn the phone on, have it close by, and run the app in the foreground. This can be annoying if all you want to do is have a quick weigh-in and upload the data to your favorite fitness tracking app. Knowing how much you weigh doesn’t say much on its own. That’s why the best smart scales come with a plethora of readings which give a clearer picture of your overall health. Body mass index or BMI is the most common and tells you whether you’re under- or overweight based on your height. Body fat & water percentages measure how much of your body’s weight is taken up by fat or water. The former is a useful indicator of health & tone, while the latter indicates whether you’re hydrated. Muscle mass should be monitored when dieting to make sure that you aren’t losing bulk along with fat. Bone mass isn’t likely to change rapidly, but it is a good long-term stat to keep track of as you age. Needless to say that the more of these a scale supports, the better picture you’ll get. Some of the scales on our list were designed by renowned fitness tracker manufacturers. They’re best used with the company’s other products, and in the case of models like the Polar Balance, you’ll get advanced features only if you use them together. If you’re already a proud Fitbit, Under Armour, or Polar user, it’s natural to want to get a scale that works with your existing gadgets well. If you aren’t brand loyal or are getting a smart scale independently, keep your options open and go for one with good 3rd-party support. Two scales we’ve reviewed connect only through Bluetooth while the rest have a Wi-Fi connection as well. 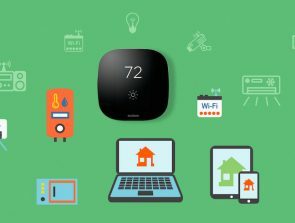 Wi-Fi allows you to transfer the data to your smart devices wherever they are and without go-betweens. 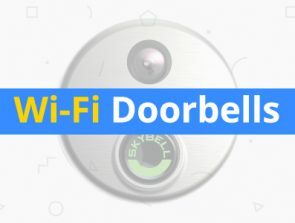 On the other hand, Wi-Fi networks can be tampered with, and since the data is being broadcast in a radius rather than to a specific device there’s a chance it can be stolen by someone. Bluetooth is the more secure yet more annoying option, so take into account how much you care about your fitness data before purchasing. Getting accurate advanced metrics like BMI and muscle mass comes with a catch. The scale needs to send an electrical impulse through your body to obtain them. While harmless to healthy adults, these pulses can harm unborn children and affect the work of pacemakers. Make absolutely sure that the scale doesn’t have impedance measuring or that it can be turned off if you or a family member falls into one of the above-mentioned categories. Pregnancy mode is a useful feature that comes with some high-end scales. It turns impedance measuring off to protect the child and provides information on the mother’s weight development. Having it is useful as the mother can keep track of weight gain during the pregnancy and its loss afterward and compare them to the norm.